Find the vehicle that's right for you when you look at the used cars from E-Z Car Credit. Get answers to your pressing questions by checking out the frequently asked questions. Find out what our customers have to say about our service by reading their testimonials. 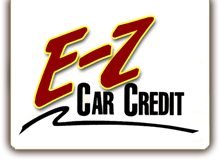 Get a great vehicle with none of the hassle when you purchase from E-Z Car Credit in Fort Wayne, Indiana. With more than 10,000 car sales under our belt, we pride ourselves on being a customer satisfaction driven company. You're not just a buyer to us; you're part of the family.